What Is the Most Important Skill for MPA Students to Learn? Did you guess right? I sure hope so. As one of the most essential skills needed to promote good governance, cultural competence advocates for government to foster a more inclusive environment to all its citizenry. Cultural competence is comprised of behaviors, policies, environments, beliefs and attitudes that meet in a system which promotes an informed level understanding in cross-cultural settings. In short, it is the ability to interact effectively with people of different cultures and socio-economic backgrounds. Since its origination in both the health care and social work fields, there has been a strong desire and need for professionals, more specifically public administrators, to possess such quality. Cultural Competence can push individuals and their organizations to function more effectively because it allows the public administrator to learn, respect and include the beliefs of those who have different cultural backgrounds. Put simple, cultural competence refers to understanding your own background and where the next person has come from. Master of Public Administration (MPA) students need to be edified of such skill because they will be faced with non-homogenous populations throughout their career and often daily. It is difficult, almost insurmountable, to provide competent public service without an understanding of the differences existing amongst those we serve. Therefore, to know who we serve we must learn more than we know. MPA students should not only learn about cultural competence but also develop the skill. If you are to be effective, you must make every effort to understand differences. Oftentimes incorporating the perspectives of different cultures can lead to more creative thinking and innovative ideas. Cultural competence is not just essential for students but also for those public administrators who are actively working in the field. Since public administrators should be neutral in the administration of laws and the treatment of people, being culturally competent and appreciating diversity helps one achieve that neutrality. Learning about cultural competence pushes one to provide effective service and ultimately avoid complaints from unsatisfied citizens. However, practicing cultural competency in a workplace is not free of challenges. One challenge is that not everyone is as welcoming or tolerant of that which they do not understand nor care to understand. This is challenging because these individuals are not always open nor do they desire to learn the background of others. Therefore, it is often hard to reach the population of those receiving the service, if public administrators are neither aware nor knowledgeable of their experience. To work through this issue, it is essential to concentrate and develop listening skills to make sure all involved are communicating the same thought with the same terminology. Another challenging aspect of practicing cultural competence in a diverse workplace is “human nature.” This is most challenging because it will always be our natural proclivity to gravitate toward that which we are most familiar with, which is our own background, culture and experiences. This means, cultural competence may not just come naturally to a person. It takes work, awareness and experience when dealing with customers, co-workers, bosses and employees that are not reared as oneself. However, research notes fully achieving cultural competence is quite normative. Public administrators should view it as a goal to pursue that invites growth, even when we think we know all there is to know about a culture. This means cultural competence will not be achieved all at once. It takes time, openness, adaptability and a lot of practice to achieve. 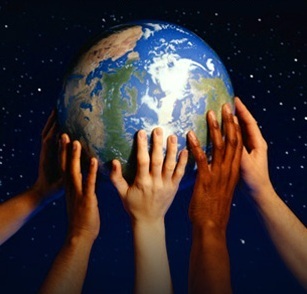 Cultural competence advocates for inclusiveness, the understanding of needs and for all cultures to be represented. Therefore, it should remain a steady goal for both the individual and organization. All cultures are not the same. Everyone’s background is different. And, everyone does not know what you do not know. A person’s background serves as a foundation for their actions, their responses, and how they interact with people. Therefore, as public administrators, it should be engrained in us to understand differences as we serve in efforts to be an effective voice for those we represent. Cultural competence is about how you interact and engage with other people who are not like you. This is not confined between cultures but it is also within cultures. It is extremely important to be conscious of other people’s background because a lot of their experiences and upbringing is the foundation for their convictions. If we are to serve the public we must learn who our public is and what they need. To be effective, cultural competence must be exercised every day in every human interaction. For MPA students, cultural competence can affect how you lead your team, interact with stakeholders and, most importantly, serve the public.